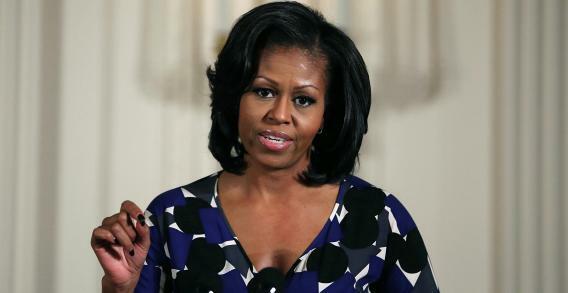 Michelle Obama-Illinois Senator: Poll shows first lady as early favorite to beat Sen. Mark Kirk. Michelle Obama has said repeatedly that she does not plan to follow in Secretary of State Hillary Clinton’s footsteps and seek political office after leaving the White House. But a new poll of Illinois shows Obama would be a heavy favorite if she wanted to challenge incumbent Republican Sen. Mark Kirk. Obama leads Kirk 51 to 40 percent in a hypothetical 2016 match-up, according to a new survey from Democratic-leaning Public Policy Polling. The first lady is seen positively by six in 10 voters in the state, with just a third voicing a negative opinion. That far exceeds Kirk, who carries a 34 percent approval and 19 percent disapproval rating. This type of early polling is always dominated by those with the strongest name recognition, so it’s not exactly a shock that the first lady would fare so well. Still, she and her husband are clearly favorites among the state’s voters, something that was on display in November when the president carried the Prairie State by more than 16 points. So if—a big if—she were to decide to throw her hat in the ring, it’s difficult to imagine a world where she wouldn’t become the immediate front-runner. The very possibility that she may be interested in the seat may even provide Kirk some cover by scaring off other possible Democratic challengers. For those who don’t remember, Kirk suffered a stroke a little less than a year ago. Since then, he’s mostly stayed out of the public eye (and away from Congress) as he works toward his recovery. Kirk won a 2010 special election to finish out the final few months of Barack Obama’s first term in the Senate (replacing temporary appointment Roland Burris), and a concurrent election for the subsequent six-year term.